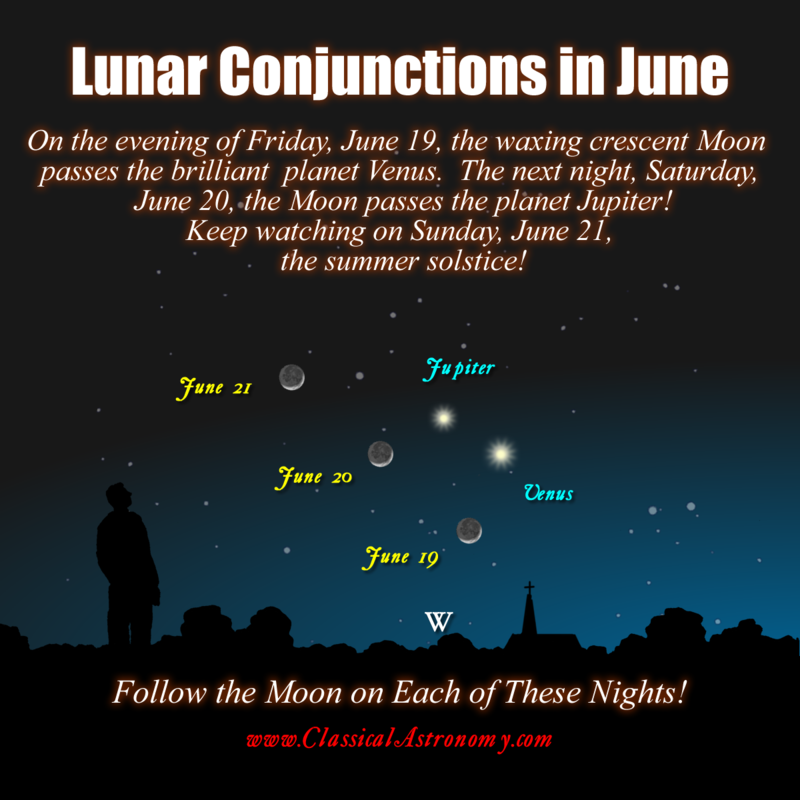 LUNAR CONJUNCTIONS: Pay special attention to the Moon this coming weekend, as the New Moon emerges from the glow of the sunset, to signal the beginning of the Hebrew month of Tammuz. The waxing crescent Moon will enter the scene on Friday, June 19, when it will appear below Venus and Jupiter after sunset. By the next evening, Saturday, June 20, the Moon will be alongside Jupiter and Venus, making its closest pass to these planets. The next night, Sunday, June 21, the Moon is near the star Regulus in Leo as summer begins for the northern hemisphere. Each of these nights are sure to offer a beautiful sight, so please do your best to see this with your family! SHARE WITH YOUR FRIENDS! DON’T FORGET!! « Jupiter and Venus Draw Close!